Fans of Virginia Woolf may not love this book, but readers of literary fiction who are compelled by the exploration of a troubled and complex psyche will certainly find much to explore in Norah Vincent's Adeline: a novel of Virginia Woolf. Adeline, Woolf's never used first name, manifested her teenage self to Virginia as a child frozen in a time before Viriginia suffered sexual abuse at the hands of her step brother. Adeline appeared to her during times of stress or crisis and beckoned her toward to her ultimate suicide. 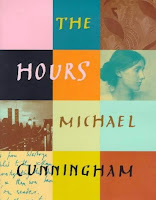 Covering the years from June 1925 to her death in March 1941, this novel delves into the workings of Virginia Woolf's mind through her conversations with her husband, sister, friends and Adeline. Readers who have a working knowledge of Woolf's life and her circle of friends may be in a position to appreciate what Vincent is trying to express with this novel and can form an opinion of this version of Virginia Woolf - one which might be seen as mystical and introspective, or self-absorbed and harsh - or perhaps both. This novel is densely written and lyrical with otherworldly elements. Despite its melancholy tone and the reader's knowledge that this will certainly end sadly, Adeline is an engaging, character driven novel.